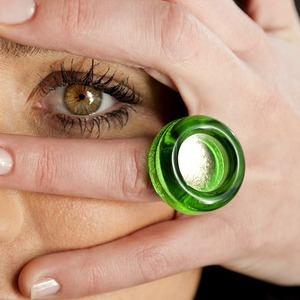 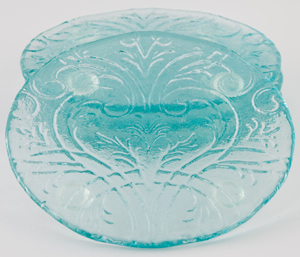 Glass is such an amazing material – it can provide a sense of opaque mystery or be a transparent window to the world. 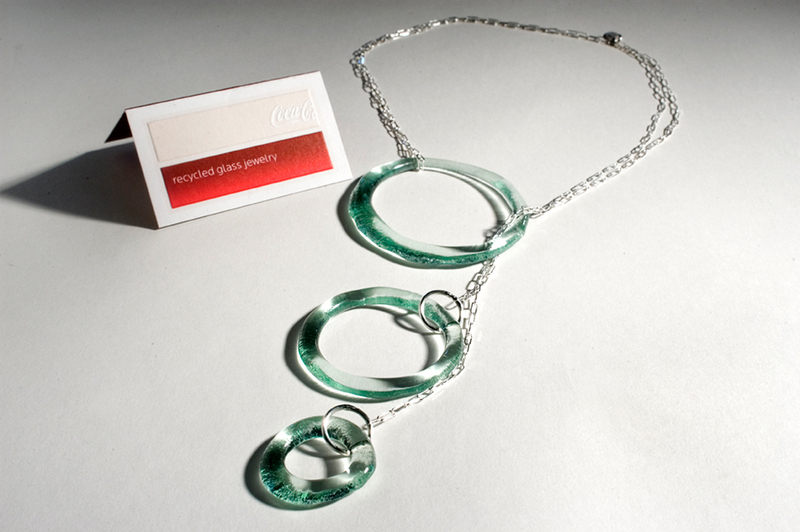 I wanted to explore this ethereal substance and find out how ethical designers were incorporating it into their work. 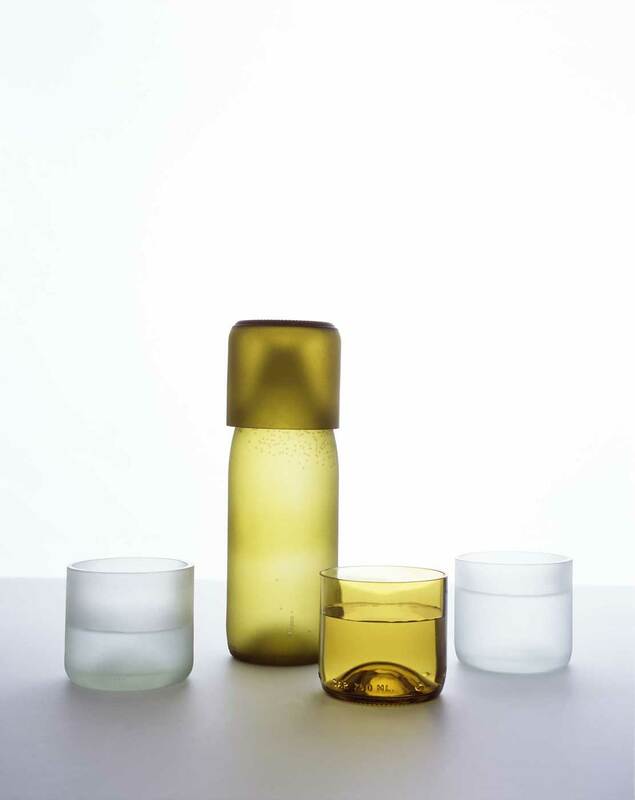 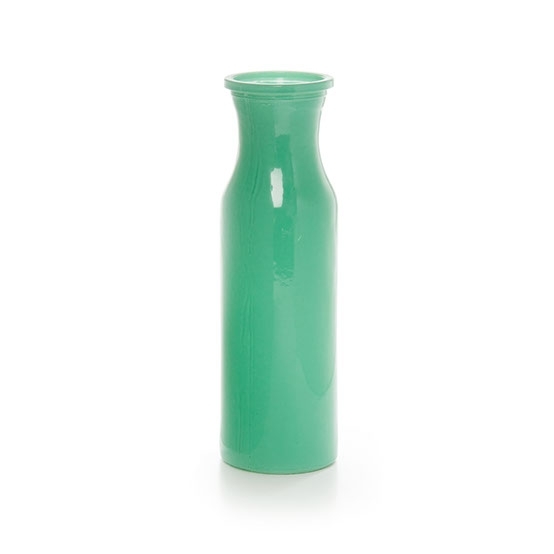 Glass Country Petite Cylinder Vase in Solid Mint from Koch & Co. – I simply adore the colour of this recycled glass vase! 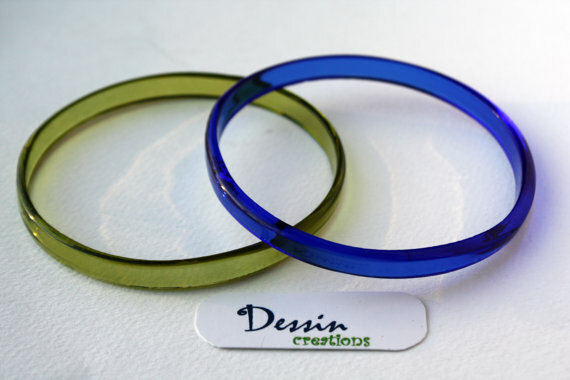 Bottle Bracelets by Dessin Creations – These unique bracelets have been hand-made from recycled wine and Skyy vodka bottles – upcycling genius! 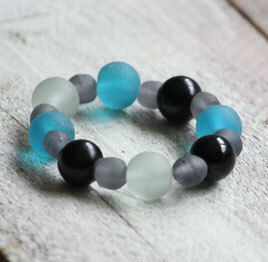 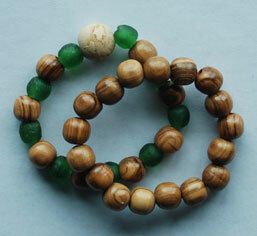 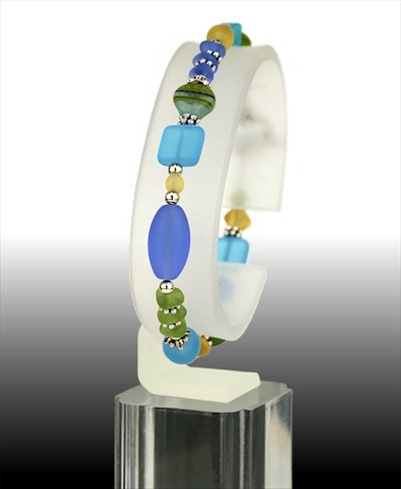 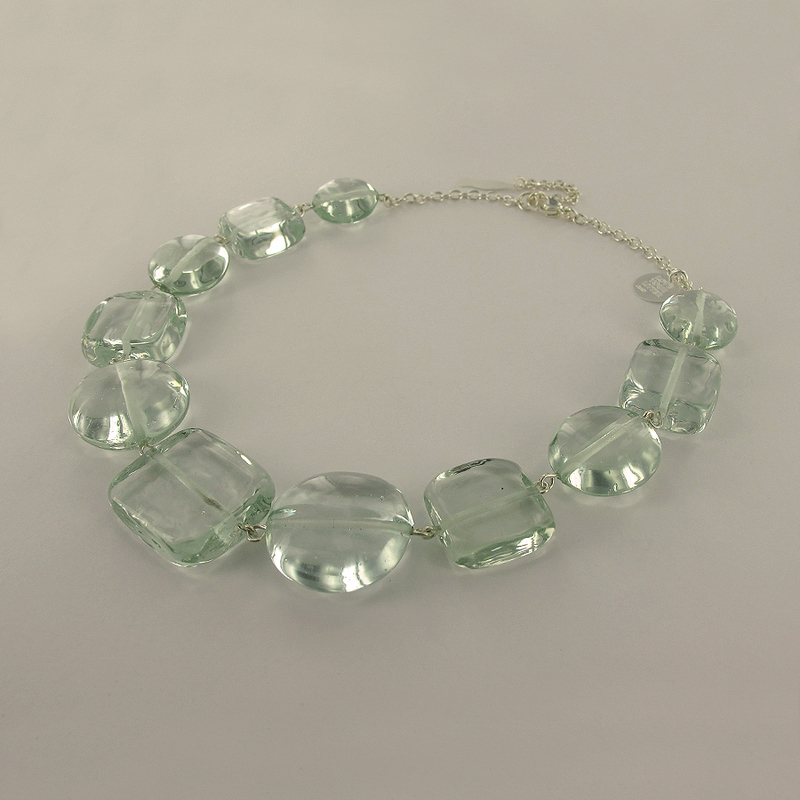 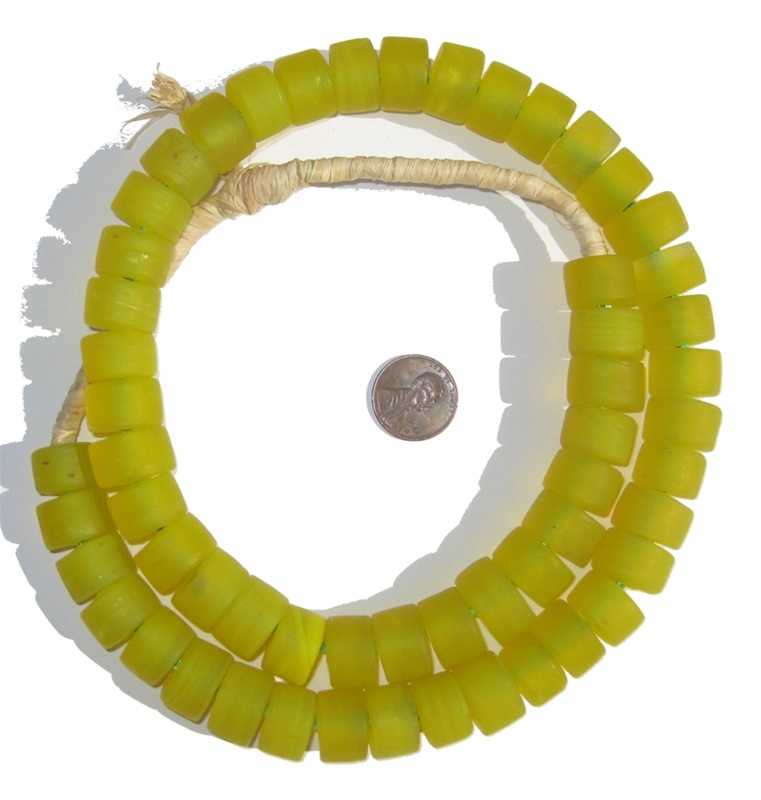 Recycled Glass Bracelet from the Eden Project – I really like the unusual colour combination. 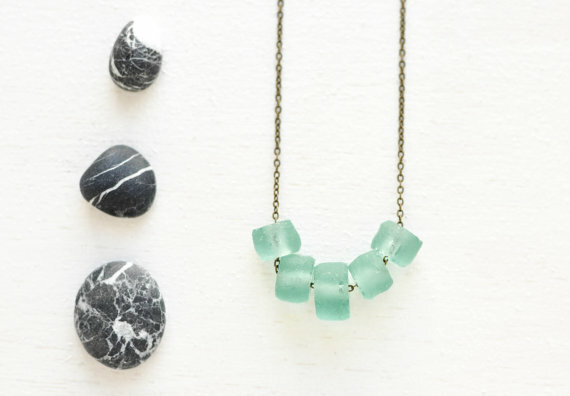 It reminds me of a bright sunny day at the beach turning quickly into a thunderstorm! 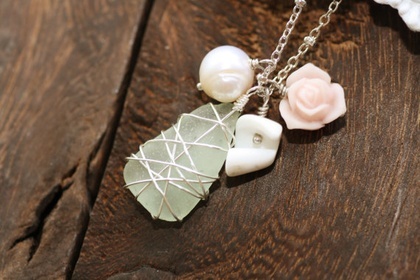 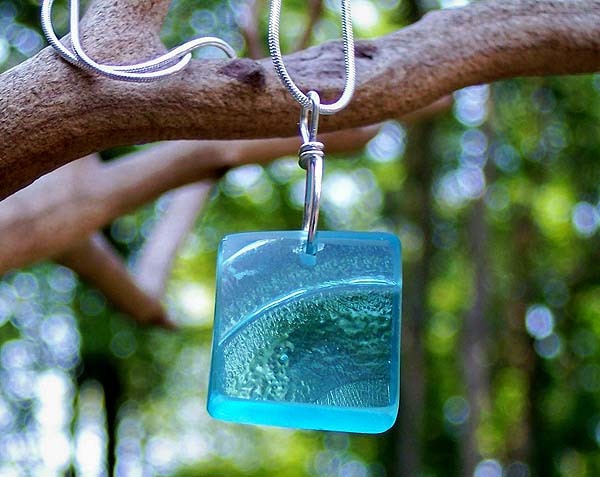 Mason Jar Square Pendant by Bottled Up Designs – This beautiful pendant has been crafted from the base of an old mason jar! 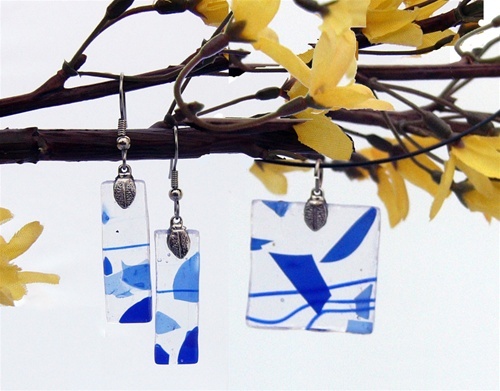 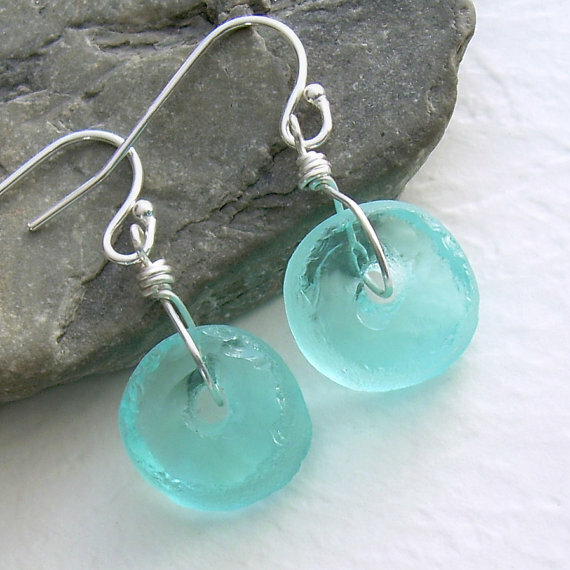 Sea-breeze Earrings from Lucky Waste – I adore the unique shape and colour of these earrings as they reflect the light. 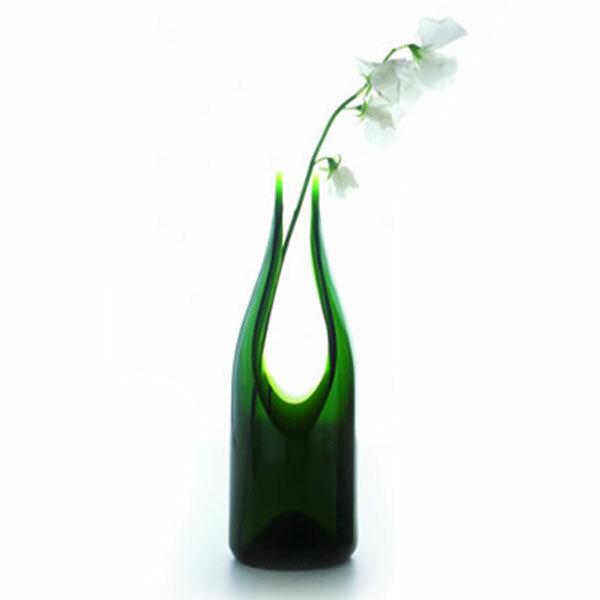 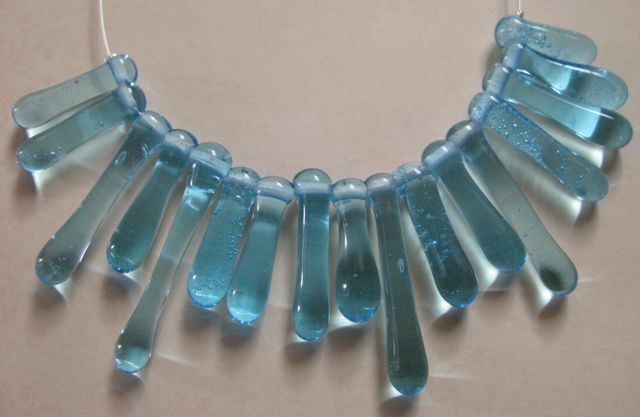 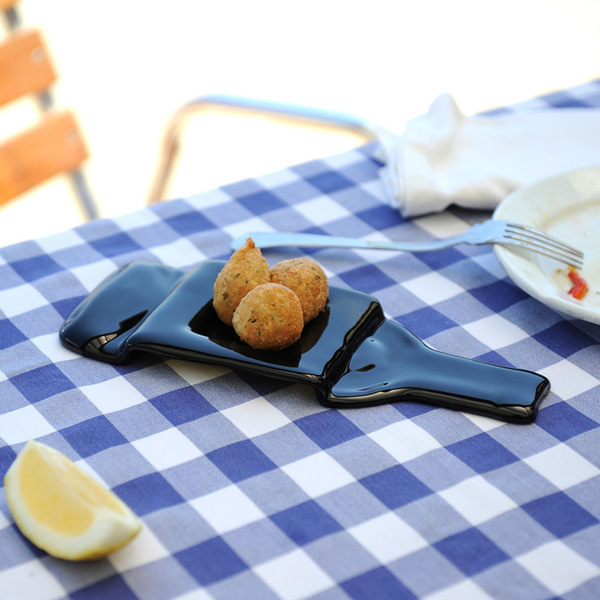 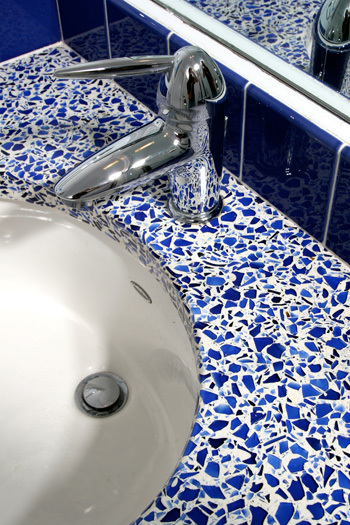 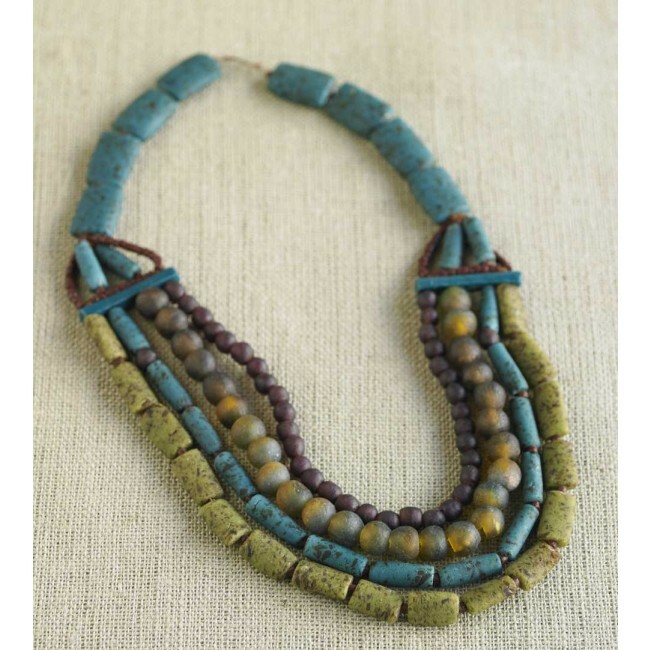 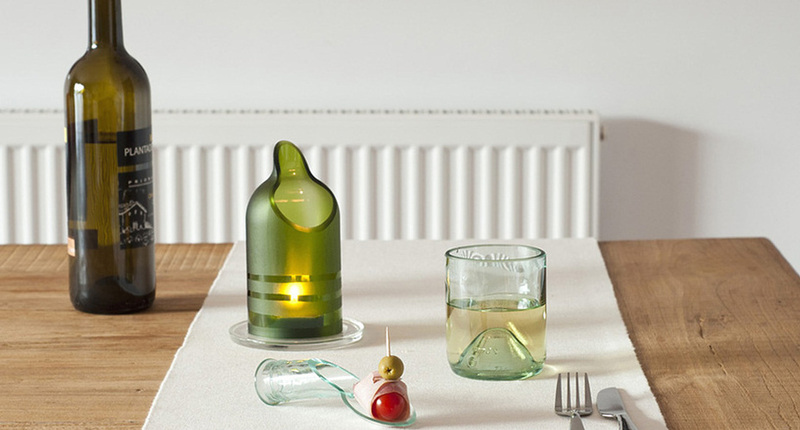 Made from a discarded bottle of mineral water – gorgeous! 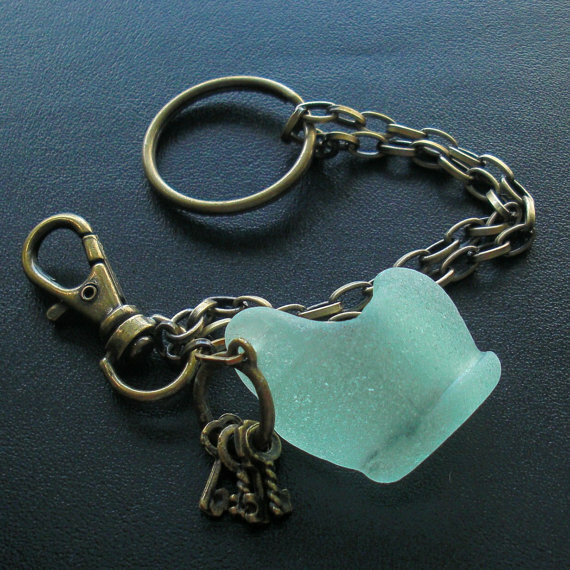 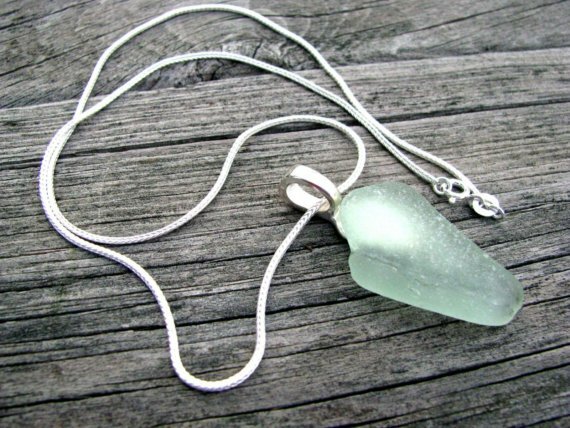 Sea Glass Bottle Lip Key Ring Charm by Ecstasea – This hand-collected remnant makes me feel all ‘Pirates of the Caribbean’! 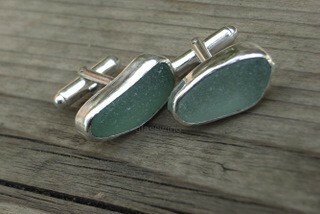 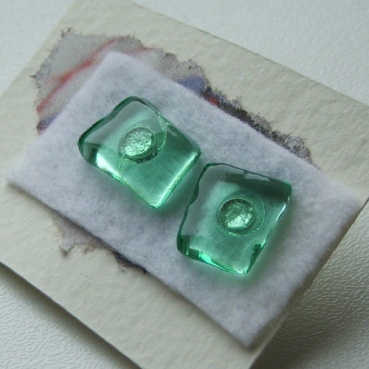 Cornish aqua sea glass cufflinks by Kate Pearse – Fabulously unique cufflinks for the man who loves the ocean! 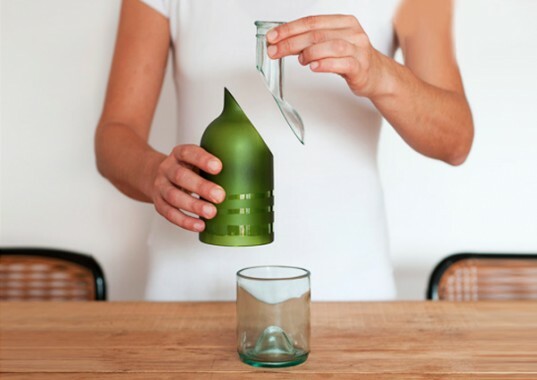 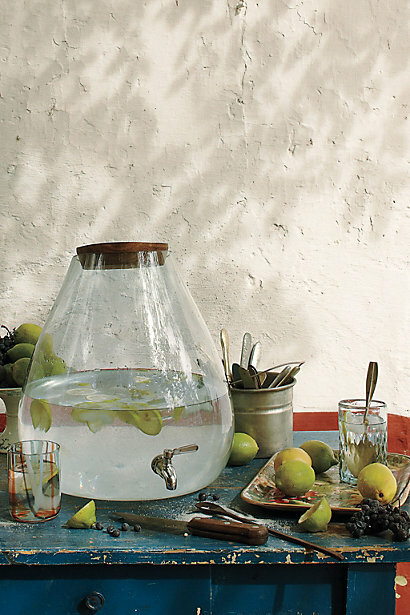 Bubbled Beverage Dispenser from Anthropologie – Recycled glass has been blown into a beautiful bubble. 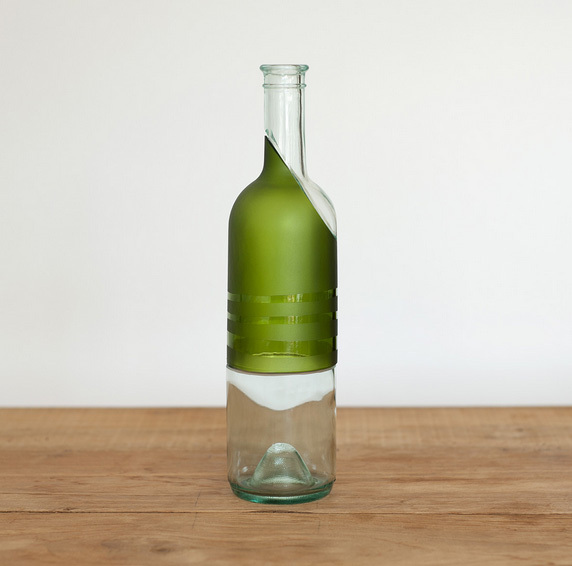 What a fabulous way to dispense your favourite drinks!